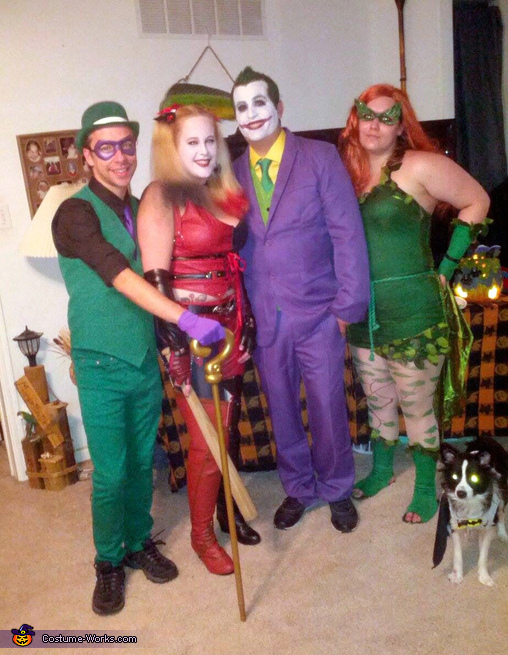 The riddler, harley, joker, and posion ivy. This homemade costume for groups entered our 2014 Halloween Costume Contest. We're huge comic book fans. So we tried our hands at the villains of Batman.